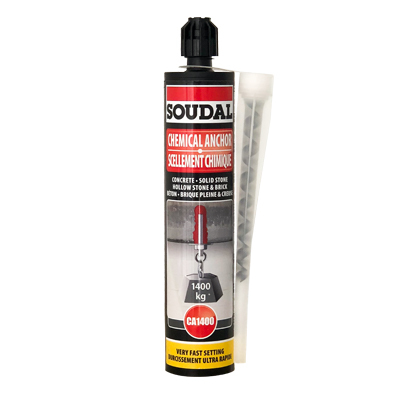 We have added a new product into our portfolio: Soudal Chemical Anchor. Soudal Chemical Anchor CA1400 is part of Soudal’s anchor range. Soudal has more professional chemical anchors such as the Soudafix VE400-SF (link in Dutch), but have recently released a CA1400 as a more universally applicable chemical anchor, complete with clearer, more informative packaging. 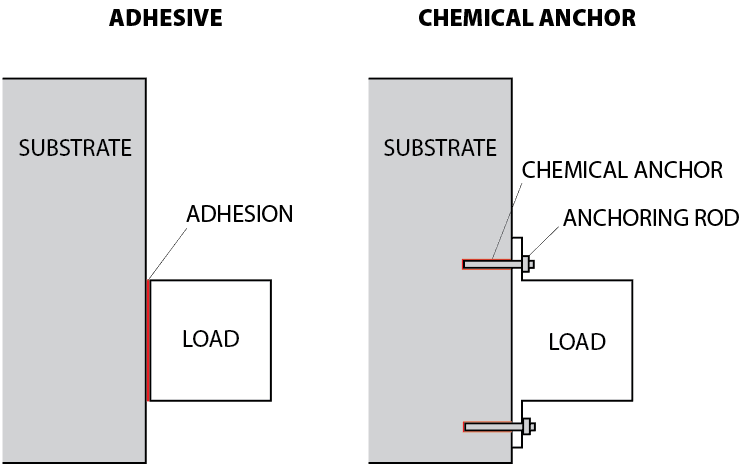 A chemical anchor is simply a type of chemical / adhesive that secures mechanical fixtures (anchoring rod) into a substrate (wall). Unlike an adhesive, where you bond two surface areas of a substrate, a chemical anchor is meant to strengthen the attachment of the fixture or fastener to the wall or ceiling, and allow it to hold greater loads more securely. How to use a Chemical Anchor? Drill a hole in the wall for the anchoring rod. Clean the hole thoroughly with a brush and compressed air to remove all the particles. The key feature of Soudal’s CA1400 Chemical Anchor is the universality of its application and ease-of-use. Although it is 2-component, Soudal has it conveniently packed in a standard cartridge size, so any standard caulking gun will work. Do note that you will need a better, stronger gun to be able to easily extrude both components. Every cartridge of Soudal Chemical Anchor comes with a static mixing nozzle, which means the two components will be mixed inside the nozzle itself. Once applied, the nozzle will start to cure and harden with time and cannot be reused. The cartridge, on the other hand, can be reused by means of a new nozzle. 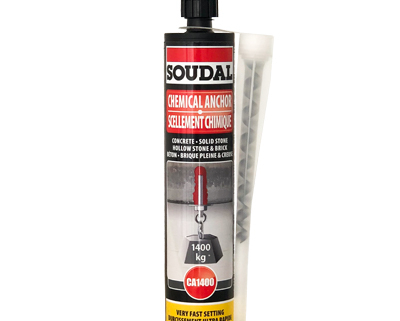 The other feature of Soudal’s CA1400 Chemical Anchor is in its anchoring strength. It can hold up to 1400kg (based on specific test standards). 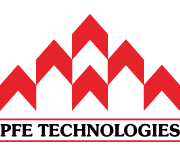 More information available at the Soudal Chemical Anchor page. Why should I use a Chemical Anchor? Chemical anchors provide a chemical bond of the entire length of the fastener to the wall / ceiling to distribute load, while mechanical fasteners usually concentrate load only at certain points. Since chemical anchors fill up the entire hole around the fastener, there is no (or less) stress on the substrate. Mechanical fasteners will impart stress on the wall / ceiling, especially at load points. A chemical anchor also acts as a sealant of the hole against corrosion. A mechanical fastener may allow water or other chemicals into the hole, creating weaknesses. You can use a chemical anchor even if the hole drilled is too large or inconsistent. A mechanical faster requires a good-sized drill hole for maximum effect. If the drill hole is already too big, then you’ll need a new, larger fastener, or use a chemical anchor. What can Chemical Anchors be used for? Installing, even close to edges, of hedges, banisters, shutters, fences, etc. What fasteners can you use with chemical anchors? In professional settings, you should use threaded anchoring rods with chemical anchors for best effects. Generally, you can use any mechanical fasteners such as screws and bolts, but as usual we recommend preliminary compatibility tests. Do note that chemical anchors have curing times and should be left unloaded during this period. Chemical anchors are widely used worldwide for a variety of applications. We have found that in Singapore, chemical anchors are almost used exclusively by larger projects with specific technical requirements, while smaller-sized contractors and end-users simply rely on purely mechanical fastening. We are bringing Soudal Chemical Anchor CA1400 into Singapore as a superior anchoring solution that can be easily used and applied by a wider range of users, due to its convenient design and our extensive supply chain. Cheap. Buy it here if you need one piece, or get in touch with us if you need it in your factory or project. Do you sell the nozzles separately? Not right now, but it will be available soon. When it is, you’ll see it in our site.